A recent hailstorm that impacted several areas of the Brevard County, Florida, is expected to drive a loss of between $4 million and $7 million for HCI Group, Inc. According to the National Weather Service, recent thunderstorms that brought hail to parts of Canaveral Groves, Cocoa, Rockledge, Merritt Island and Satellite Beach, resulted in the most significant hailstorm event in Brevard County recorded history. 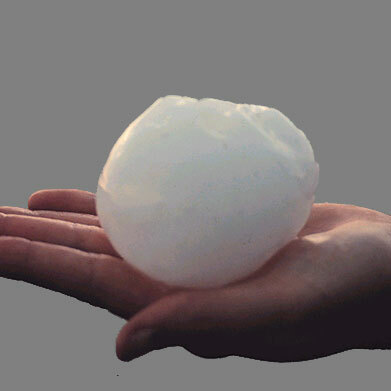 On the morning of March 27th, 2019, hail the size of golf balls fell for up to ten minutes, battering buildings and cars, resulting in widespread damage. HCI Group, primarily a homeowners’ insurer with additional operations in reinsurance, has said that the event could drive up to $7 million in losses for the firm, and is exacerbated by the influence of wind. “Hailstorms occur this time of year in Florida. Because it was wind-driven, it not only damaged the roofs of homes, but the siding, widows, and fences as well,” said Paresh Patel, HCI Group’s Chairman and Chief Executive Officer (CEO).